How to Convert Video to Xbox 360 with Simple Steps? As to the problem, it’s not very difficult to solve. If you happen to downloaded your favorite videos over the Internet, and you’re eager to transfer them to your xbox 360 for easy playback. Then you could learn how to solve the problem freely from the article below. Part 3: Other Video to Xbox 360 Converters for Reference. Here we would like to share you with the concept of xbox 360 from Wikipedia: Xbox 360 is actually the second video game console developed by and produced for Microsoft and the successor to the Xbox. When it comes to its supported formats, Xbox 360 generally supports videos in Windows Media Video (WMV) format, H.264 and MPEG-4 media are also included. Therefore, if you attempt to play your video on Xbox 360 smoothly with high quality but failed, you could convert it to Xbox360 compatible formats, such as WMV, H.264 and MPEG-4, etc. 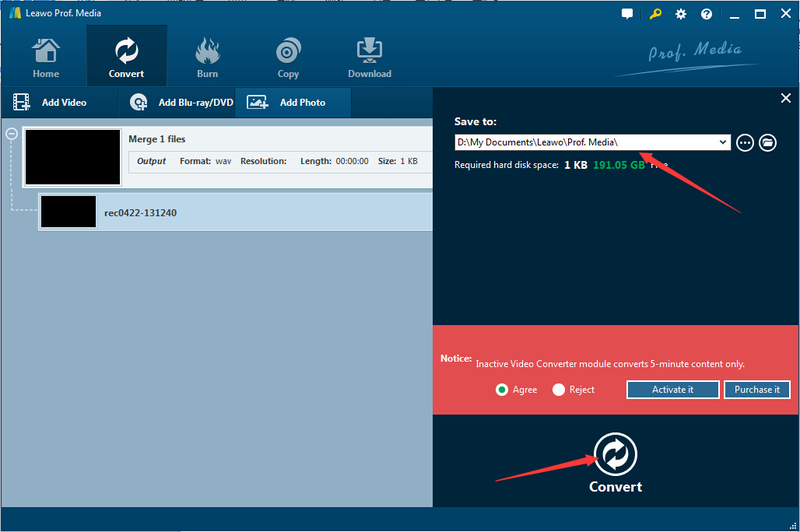 Leawo Video Converter could be such one powerful video conversion tool that combines many functions in one. The useful Xbox 360 Video Converter could not only convert videos to Xbox360 compatible formats, but help you to convert videos and audios among almost all popular formats. Besides, a distinguished feature of its robust editing functions like cropping, merging and many more. Hence it is highly recommended. Before starting, you may need to free download Leawo Video Converter and launch the Xbox 360 Video Converter by clicking the icon on your desktop, or directly click the download button below. After you’ve opened the Video Converter for Xbox 360, you could view the interface below, and then you may need to load your desired videos to the software. You could choose to click the “Add Video” button, click the invert triangle icon next to the “Add Video” button, or even drag and drop the videos to the “Drag File into Me” in the interface. 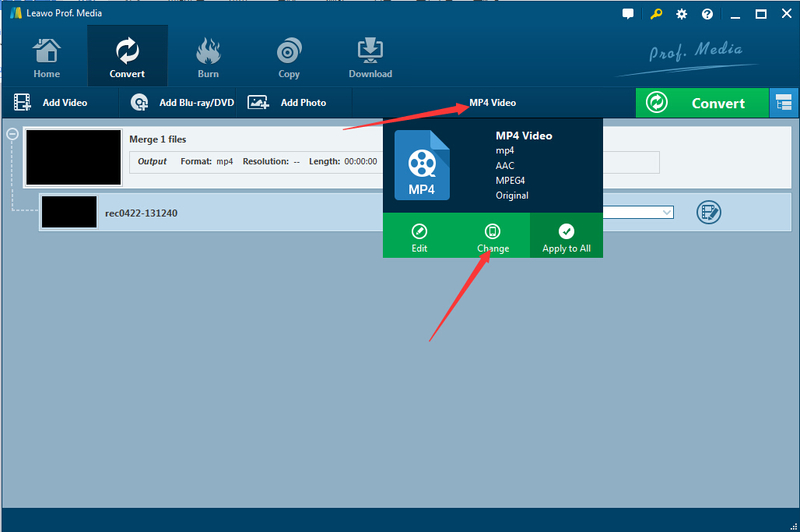 The step is very simple, you just need to click the “MP4 Video” button and there’s the pop-up window where you could click the “Change” button to go to the “Profile” panel directly. The step is simple yet very necessary. Our aim is to convert videos to Xbox 360, and then you just need to convert videos to formats that Xbox 360 supports like H.264/MPEG-4/WMV video files. Here you just need to choose the H.264/MPEG-4/WMV video in the “Common Video” sub-tab under the “Format” tab directly. After all of the necessary settings are done, you could click the “Convert” button to activate the window where you could select your wanted output directory and start to convert by clicking the “Convert” button. The whole converting process is very easy to operate even for the new users. Any Video Converter Ultimate is regarded as a Video Converter for Xbox360 that could help you to efficiently convert video for Xbox 360 with its easy-to-use interface. The useful Video Converter for Xbox 360 even supports the batch conversion with high conversion speed. Xilisoft Xbox Converter is such one useful conversion and editing tool that can convert many kinds of video files to Xbox/Xbox 360 video with high quality. The best feature of the program is its editing function that enables you to customize your desired parameters like bit rate, sample rate, aspect ratio for better enjoyment with Xbox. 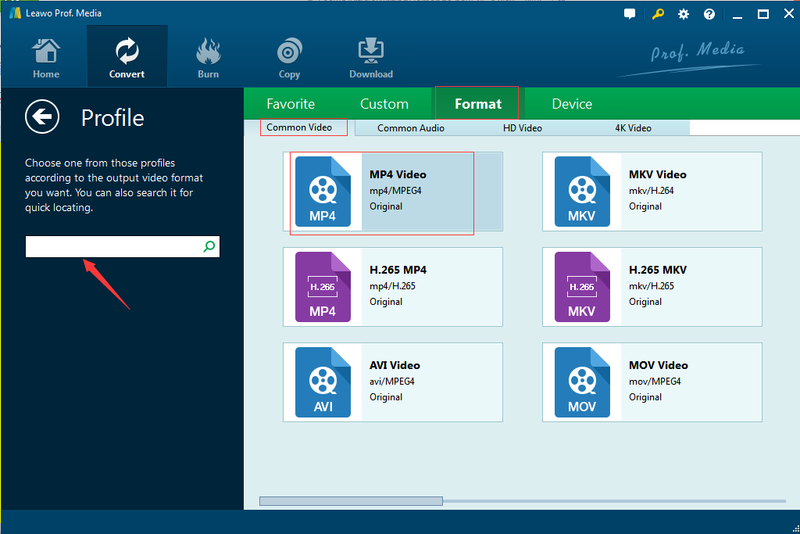 Total Video Converter is such one useful tool that could fast convert video to Xbox while keeping its original quality. The great software also allows to customize the relative output parameters settings. On the whole, Leawo Video Converter is the optimal selection for you to convert video for Xbox 360 with high quality. 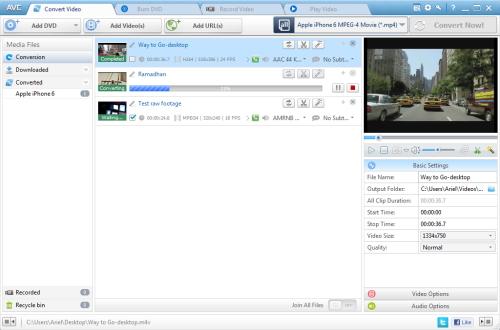 With its easy-to-use interface, you could customize your own specified video settings easily and freely. Leawo Video Converter could also support batch conversion that enables you to convert videos to Xbox 360 within several minutes. Meanwhile, the robust program could also allow to do some specified settings for your videos with its built-in editing functions. Leawo Video Converter could fulfill your wish of converting videos to Xbox 360 perfectly.